It’s very cold again today. We feel like we are living in the North pole. This weather reminds me of Mr. Santa (Ms. Santa?). Our teacher asked if Santa already came to our house. We said, “Not yet because its not Christmas yet! !” Hahaha! We’ve been talking about Arctic animals, so today we talked and learned more about polar bears! Good morning to our friends! We spent most of the time at the carpet area. We played with cars. We enjoyed racing them We said to the teachers. “Look! My car is so so fast!” X all of a sudden came to Pauline and Sayaka and told them, “I like this school...Ohana.” They asked him why, He said that Ohana is fun. We think so, too! Sayaka then asked us if wanted to go to park or have indoor fun for today. We replied that inside fun sounds great! So, we had a bit of a longer free play time. After that, we had snack time. Its circle time! 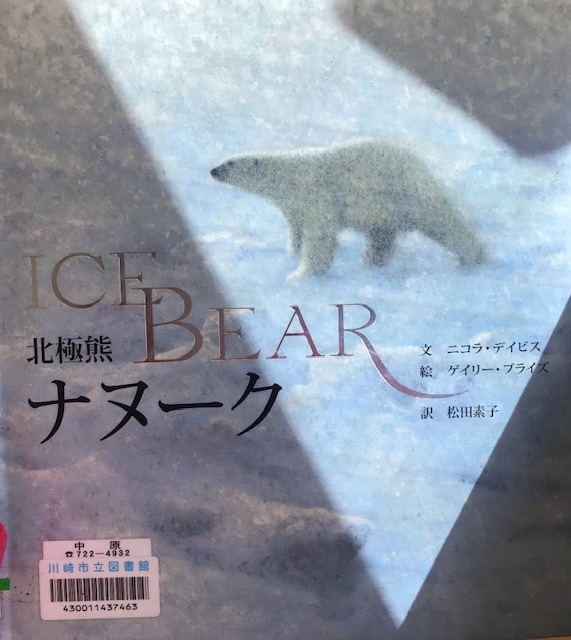 Sayaka showed one Japanese book, “ICE BEAR” she said that we will talk and know more about polar bears. On the book, its saying that their fur is very thick– from 7 to 8 cm. That’s why they can live in the cold, as the fur keeps them warm so they can stand temperatures of up to minus 40 degrees Celsius. The male bears can grow from 2 to 3m and weigh 350 to 650kg. We did measure 3M with our tape measure. X, Y, and Z lay down beside the tape measure , and they were the same height as the bear! Its soooooo big! What they eat is actually seals. We love seals so when we heard about it, we were a bit a sad. Sayaka added that they actually can’t find seals like before because of global warming. What is global warming? It is very new word to us. Our teachers told us that our earth is getting hotter and hotter and it makes Arctic animals’ lives hard. The ice melts and they can’t live any more. So, the bears cant find seals like before. Sayaka also said that she will talk more about global warming tomorrow. She also said that we can help to stop global warming! After that we did our favorite game, FREEZE GAME !! We all loved it! We asked our teachers if we can play the game again and again. We love indoor fun. But, at the same time, we miss park time as well. So we will have long park time tomorrow! Thank you very much for today! Tomorrow is last day for Winter school. Have a great evening and see you tomorrow! All the happy children in Petals class.